So a marathon can seem like an overwhelming feat – I mean it is traveling over 26 miles by foot! 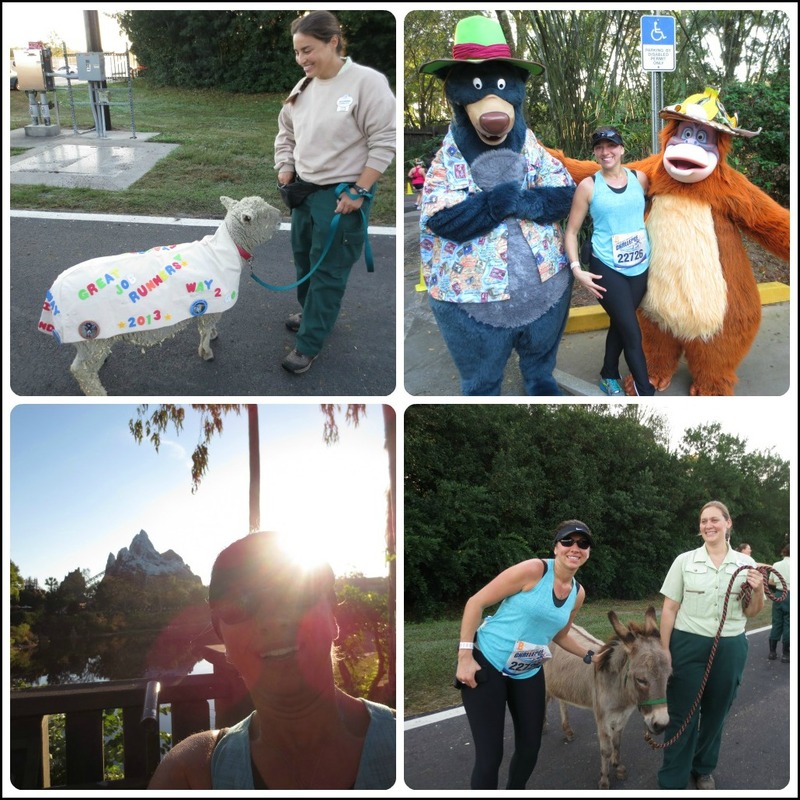 One of the best things about the Walt Disney World Marathon is that there is always something to look forward to! No matter what part of the race you’re at, there’s either another park, attraction or eventually the finish line coming up! The thought of the overall marathon distance becomes much easier to swallow when you break it down in to smaller (more digestible!) bite size pieces – i.e. “chunk” it! 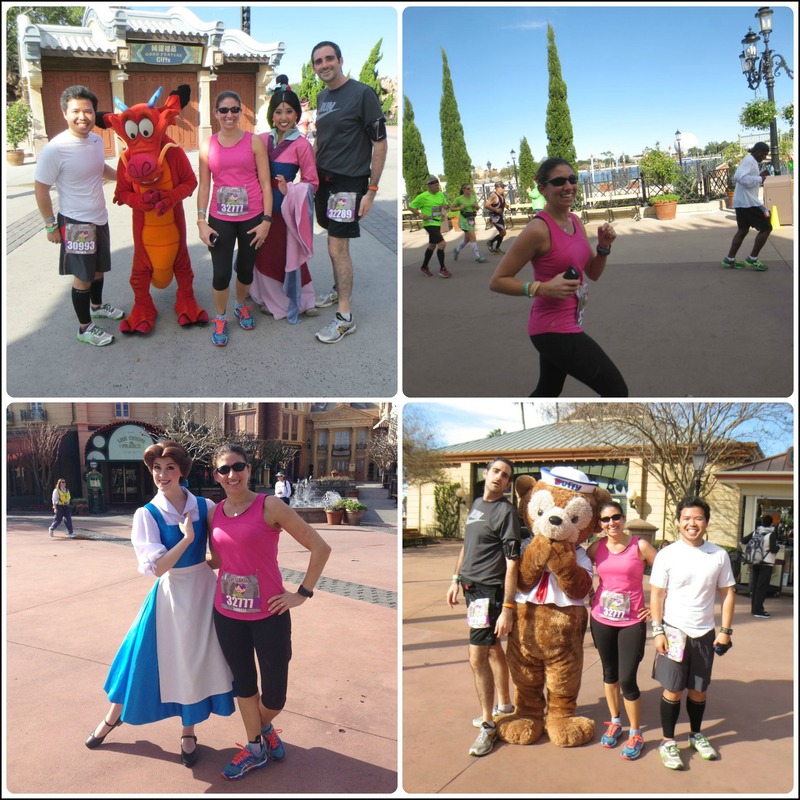 Chunking is actually a reading strategy that my sister used to use in school that helps students to organize and process information – so let’s “chunk” the Walt Disney World Marathon! 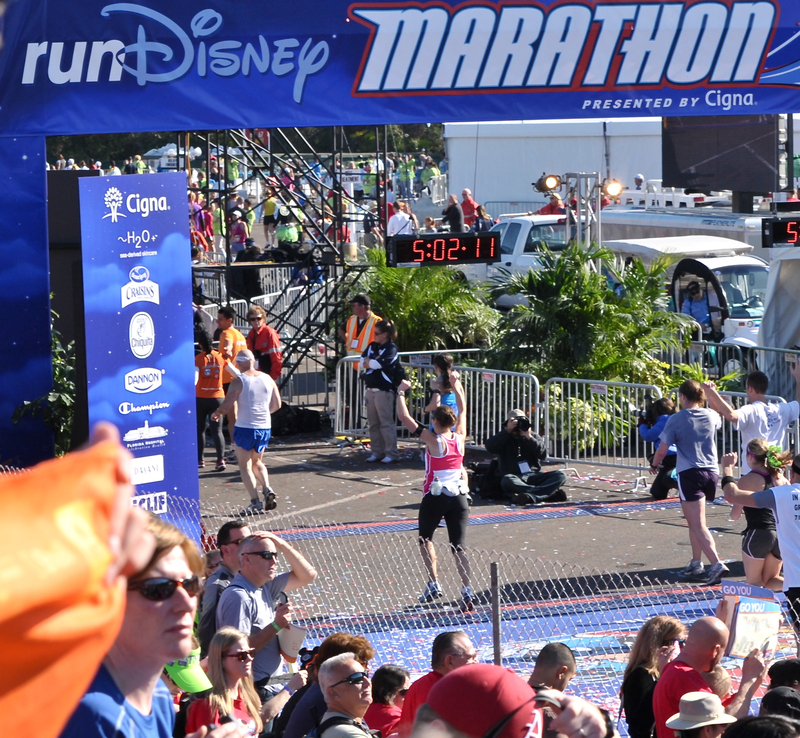 Chunk #1 of the Walt Disney World Marathon takes you from the starting line through the Magic Kingdom! 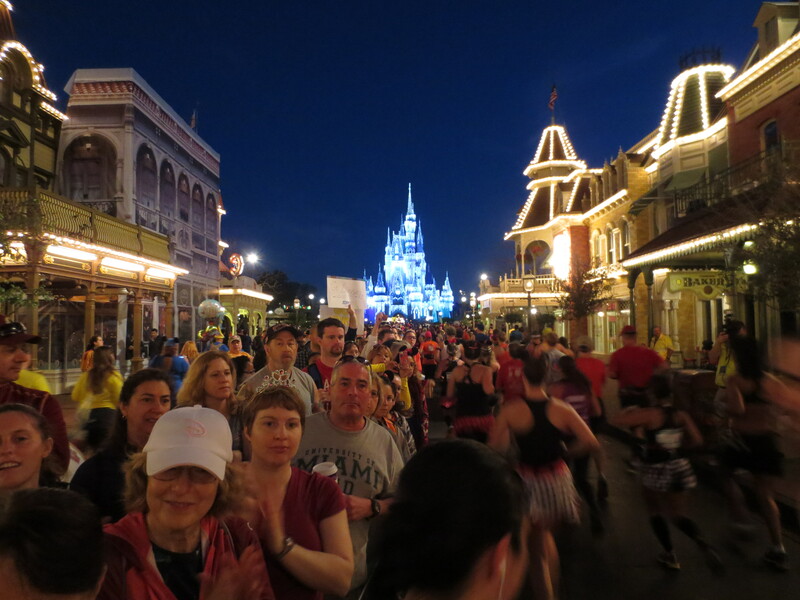 The first few miles are mostly highway running, but focus on the reward towards the end of this leg – running down Main Street U.S.A towards Cinderella Castle! 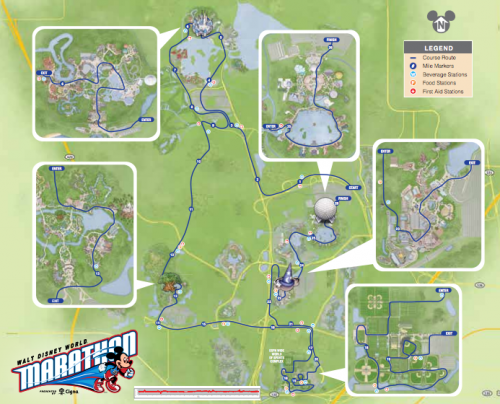 The next chunk is only a few miles as you leave the Magic Kingdom and look forward to the Walt Disney World Speedway! 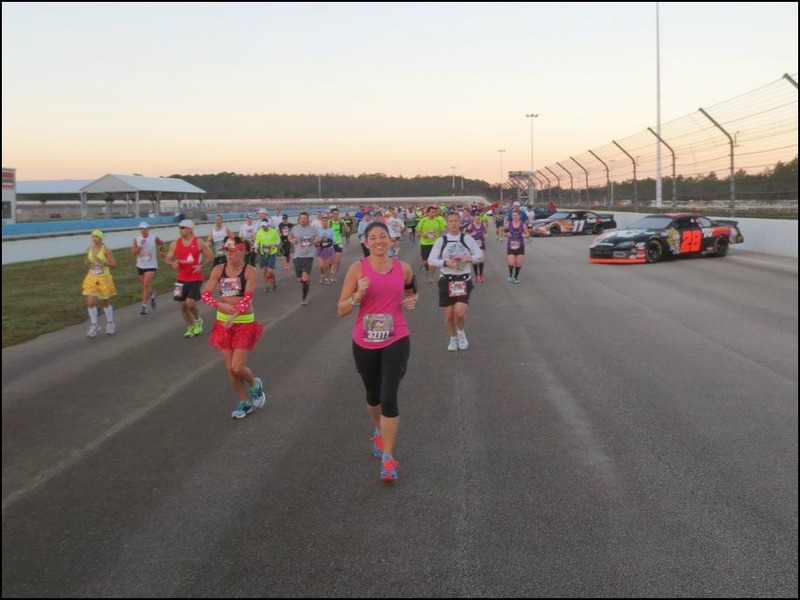 While the Speedway isn’t terribly exciting, it is something different than just highway running and hopefully they’ll have some of the celebri-cars from Cars out there this year! Chunk #4 is the longest and arguably the most difficult of the race, so be ready, but don’t get discouraged! Once you leave Animal Kingdom there’s about 4 miles between you and the highlight of the next “chunk”, but once you enter the ESPN Wide World of Sports they somehow managed to twist, turn and loop you through it for almost 3 miles – good news is when you come out on the other side you’ll be at mile 20! This is your last long stretch – YOU GOT THIS! 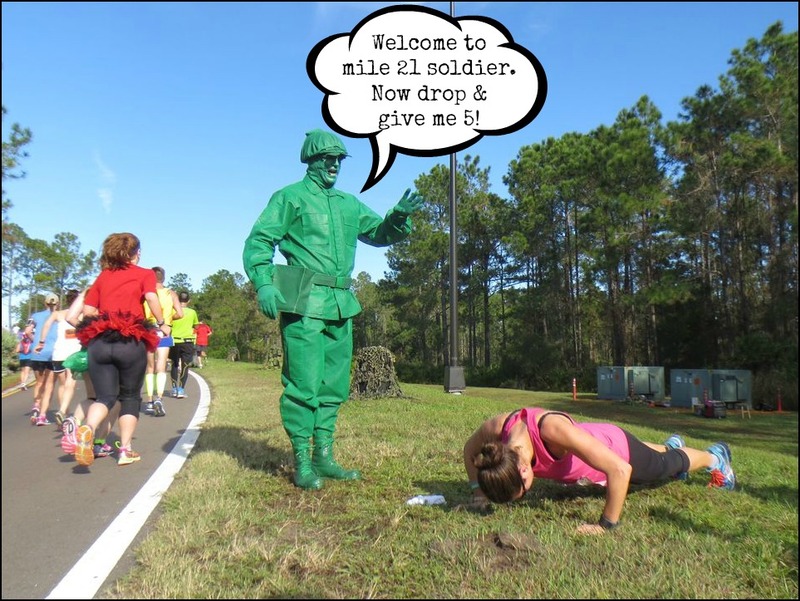 Just a few miles of highway (and what’s a few miles – think of all the “few mile” runs you did in training!) and you’re in park #3 of 4 – Hollywood Studios! Enjoy running down New York street and Hollywood Boulevard because by the time you exit Hollywood Studios there’s less than a 5k standing between you and the finish line! THIS IS IT, the home stretch! Ok, so it’s a bit long for a true “home stretch”, but every year when I exit Hollywood Studios is when I really feel like the finish line is in reach! You’ll run down the boardwalk in front of the Yacht & Beach Club resorts and there will be plenty of spectators at this point cheering you on! 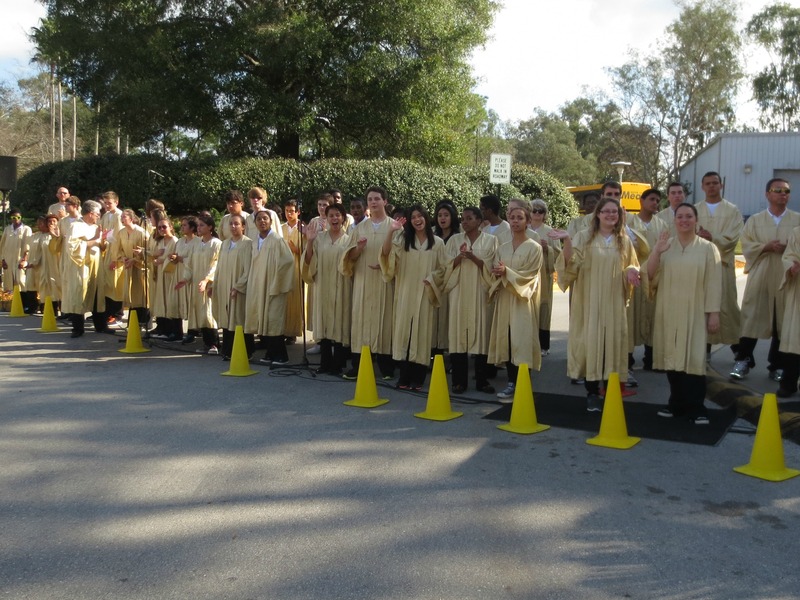 …and to the finish line! So, if you start to get overwhelmed by the thought of running 26.2 miles, think of it as having to get through 6 parts (each with a fun goal or destination at the end!) , not 26 – much more manageable! Love chunking! That’s totally how I see this course, too–attraction to attraction! BTW, is it crazy that the petting zoo animals are my fave??? Get some more snaps of them for me. Have fun! Haha, I love seeing the animals too! I especially loved that last year one of them had a race bib on, it was so cute! I’ll try to get some pics for you this year! Are you paying attention to this KELLIE?!?!? I did that as I did my first half. EPCOT, to TTC, TTC to MK, MK to the overpass, then back to EPCOT. Exactly, so helpful to break it down! I like to break halves into miles 1-5, 6-9 and the long finish. In a full I think it through 1-13, 14-17, 18-22, and the long finish. I try to not even think about racing for the first half of the race, it helps with nerves. I just do the best I can, and push through to the end. Hmmm…the funny thing is now that you mention it I don’t really do this for halves – I totally should! This was exactly my strategy going to into Chicago…really keeps you in the race mentally. 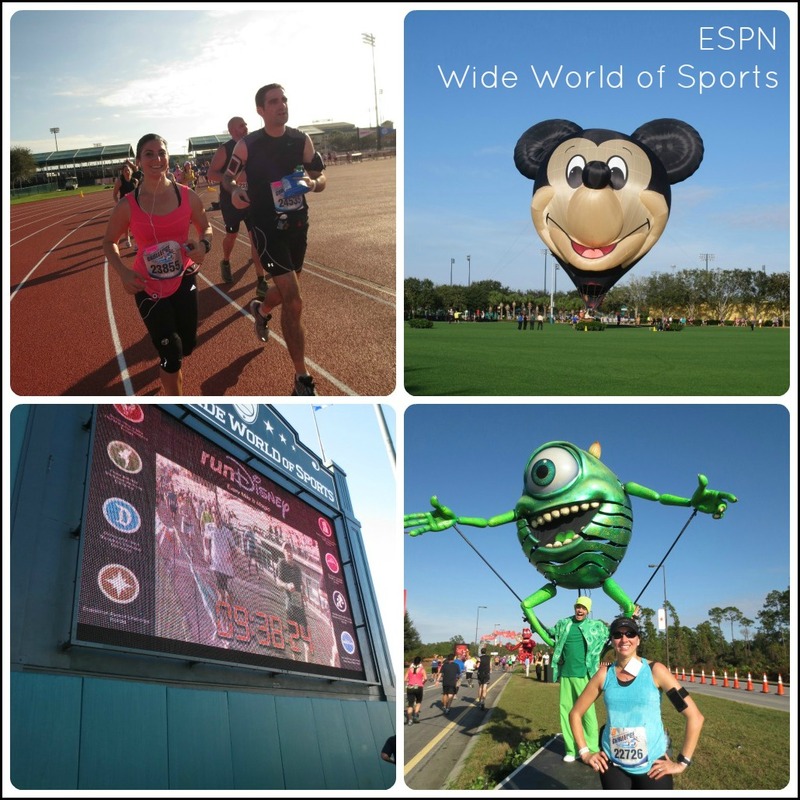 And I love all of your pictures along the race course…Disney looks like a fun marathon to do!! Good luck! It really is a lot of fun, this will be my 4 year doing it, I keep saying I need to stop doing the same race over and over, but I really do love it! Reading this made me really happy. WDW was my first full marathon last year and I ran every step of it alongside my dad. We had a fantastic time. As this year’s race has been approaching, I’ve been getting super nostalgic and sad that we won’t be down there this year.. I’m looking forward to living vicariously through your pics and posts — have an amazing time!! It really is such a great race isn’t it?!? I’ll be sure to take/ post lots of pictures! This is sooo awesome! Good luck! 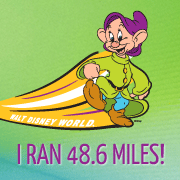 I soooo wanted to do the Dopey Challenge this year, it’s just so pricey paired with traveling, hotel and finding care for the kiddos…. one day… I can’t wait to read all about it! Yes, it definitely is expensive, but if you ever can find a way to manage it I highly recommend it! Thank you so much for this! I’m running Goofy as my first marathon and this was very helpful! Oh good, I’m so glad you found it helpful! Good luck and please let me know how it goes!